Rock on! I love the plant stands! Did you paint them yourself? Nope. They're just stools that Esther had found somewhere, which we did not really use. I was most impressed with the upside-down business. Interesting. 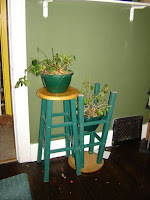 I think the best thing about the plant stands is that they could--with just a few modifications--be used for a seating device. 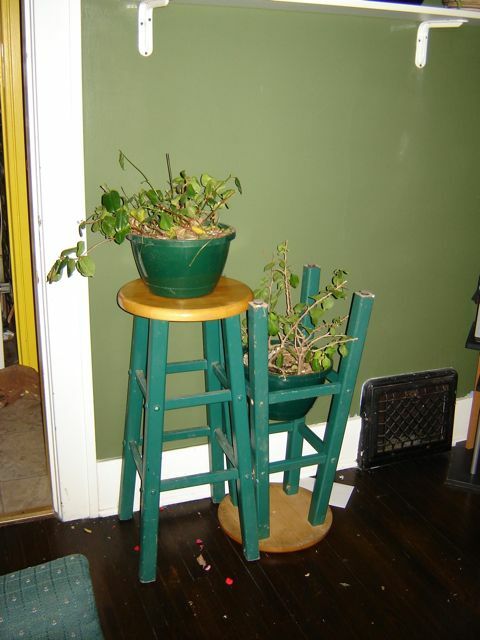 Kind of like a stool. Remind me to show you my night stand made of suitcases. Well, "made" is perhaps misleading.